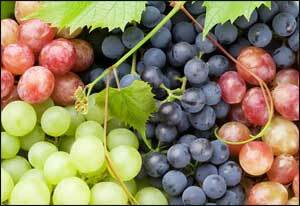 According to scientists from the Icahn School of Medicine at Mount Sinai, Grapes contain certain compounds like dihydrocaffeic acid (DHCA) and malvidin-3’-O-glucoside (Mal-gluc), which in future may pave path for development as therapeutic agents for the treatment of depression. According to estimates, each year approximately 16 million individuals in the United States have a major depressive episode and conventional pharmacological treatments are often associated with severe adverse effects. Catering to urgent need for a wider spectrum of novel therapeutics, these natural compounds may attenuate depression by targeting newly discovered underlying mechanisms of the disease.The study has been published online in Nature Communications.